Home > Asphalt Paving Blog > Does Your Business Need Parking Lot Stripping? Does Your Business Need Parking Lot Stripping? You work hard to keep your business well-maintained and professional, but how well do you maintain your parking lot? Having a strikingly-painted and clean parking lot creates a great first impression for your clients or customers. At AAA Top Quality Asphalt, we recommend keeping your parking lot properly maintained with regular parking lot stripping. What is Parking Lot Stripping? 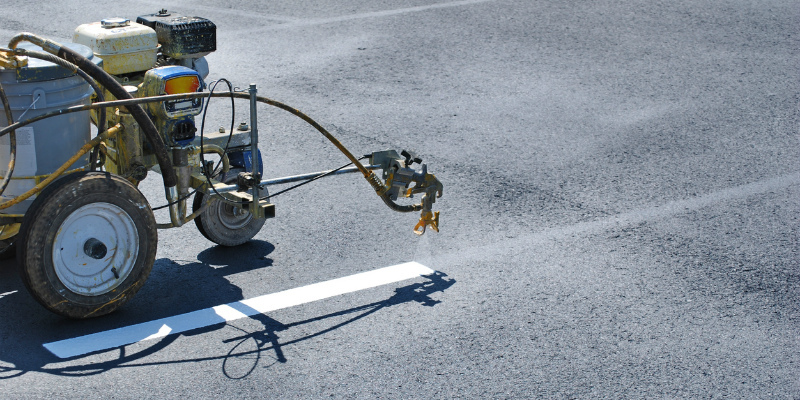 Parking lot stripping is the paint that is necessary on your asphalt parking lot to designate the different areas and functions of the driving area. It helps represent parking spaces, cross walks, handicap accessibility and any other necessary paint signage needed in your parking lot to keep it functional and organized. It is incredibly important to have parking lot stripping visible for your customers and clients. Not updating your asphalt paint can cause accidents, confusion, and frustration for your customers. Not maintaining your parking lot can also make you liable for any injury or damage that happens on your property due to unsafe circumstances. A dangerous trip or fall by an unsuspecting customer over an unpainted speed bump can result in a stressful lawsuit for you as the business owner. Having fresh paint on your parking lot creates a safe, friendly, and professional environment for your clients and customers. 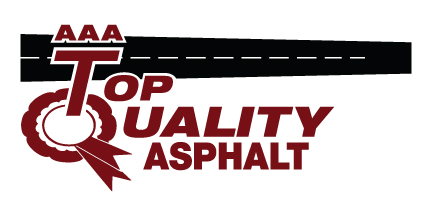 If you need parking lot stripping or any other asphalt service, call our team at AAA Top Quality Asphalt today. We look forward to working with you!